We all love getting “extras” – especially when they don’t cost anything. For example, WishList Member is giving away a free copy of the new book “Membership Site Masters” with any purchase during October. The only “catch” is that the offer ends October 31st. So if you order WishList Member, you’ll get a bunch of very cool “extras” – including the book and some exclusive audio interviews. 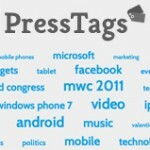 How would you like to “Discover trending WordPress posts?” Introducing the latest power source of information PressTags – trending topics from WordPress-powered sites. See how it works with the video introduction below. One of the things i love about the internet is the ability to do anything with the simple click of a mouse. One of the other things i love about the internet is Twitter. In the world of internet marketing, Twitter is KEY! 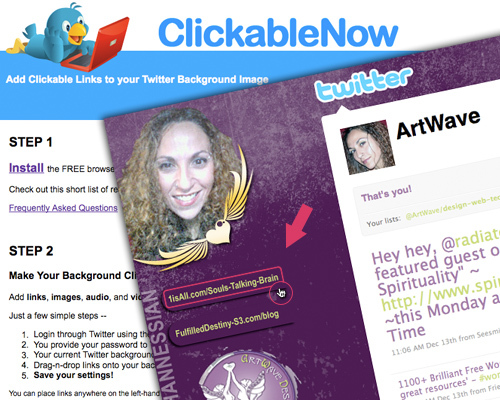 One of Twitter’s fabulous marketing tools is YOUr Twitter Background, which CAN BE customized to your individual needs. Just have a look at my twitter background, @ArtWave, for a sample of that to which I speak…and for those of you interested in having YOUr own Twitter Background customized, just get in touch with me for a quote. Up until now, Twitter Backgrounds have been great resources of information BUT…STATIC resources…in other words, no active links…until, NOW. And hopefully this feature will be something that will function without the “add-on” required and everyone will be able to enjoy the benefits of using it. Well, no need to hold your breath, ‘cuz pretty soon we’ll ALL be saying… “hey, there’s a search engine for that!”. That’s right, we had Google, Yahoo…etc…then came Bing with new interactive bells and whistles, then Wolfram|Alpha zoning in their available search info. 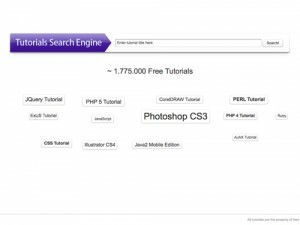 to statistical databases, and NOW, there’s Tutorials Search Engine, [UPDATED to ➡ Tutorials Point] a search engine COMPLETELY SPECIFIED to providing answers to any and all of YOUr TUTORIAL SEARCH inquiries. Stay tuned for our next ‘Search Engine’ update when I introduce YOU to the ‘Everything ICON’ Search Engine, YES!! !, “there’s a search engine for that!!”. 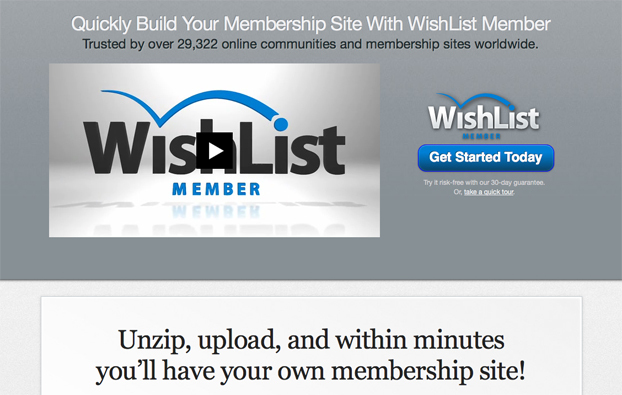 I don’t know how many times i’ve searched for the perfect WordPress membership plugin – umm ya that would be a lot. And did i find some good ones? sure…there definitely are some good ones out there, but i gotta say, i haven’t found one as amazing as this one, The Wishlist Member.